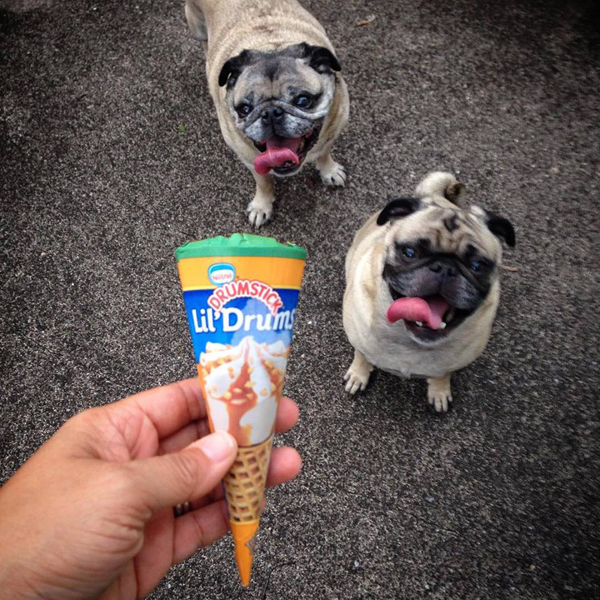 We couldn't let National Ice Cream Day pass us by without a little frozen treat. I like these mini Lil' Drums. Just the right size! Drumsticks are such a classic treat. The Nestlé Drumstick first showed up at the 1904 World’s Fair. The chocolate was added in 1928. Classic. Drumsticks on Facebook and Twitter. 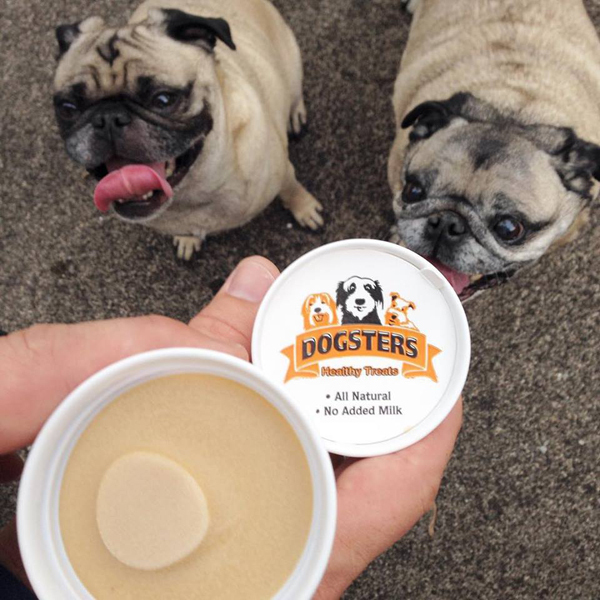 The pugs enjoyed peanut butter Dogsters while we had our ice cream. Dogsters just started their twitter account and are offering VIP coupons to the first five pups who get their pics posted to Twitter. What great timing! I got Oscar and Hugo's picture posted STAT.